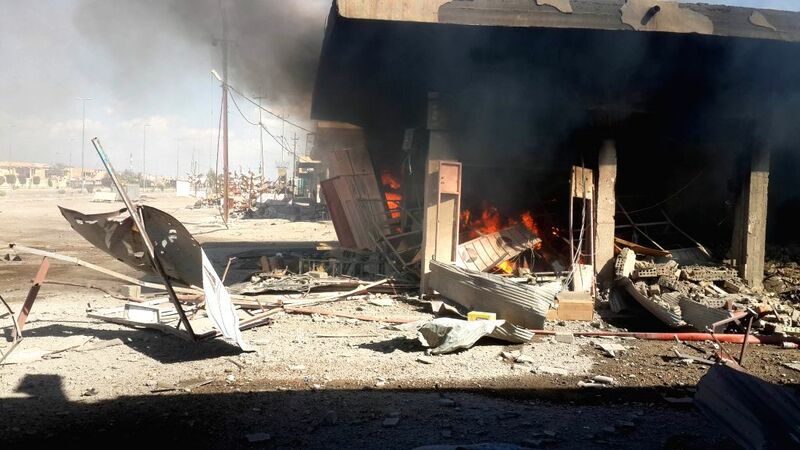 FALLUJAH, March 3, 2015 - Smoke rises from a commercial market after Iraqi Air Force's bombing in Islamic State (IS) militants-seized city of Fallujah, some 50 km west of Baghdad, Iraq, March 3, 2015. At least seven militant were killed and three others wound during the bombing on Tuesday. 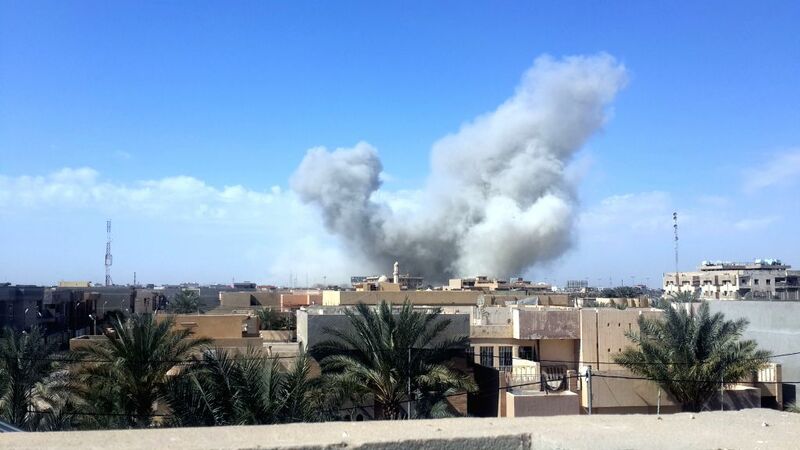 Smoke rises after Iraqi Air Force's bombing in Islamic State (IS) militants-seized city of Fallujah, some 50 km west of Baghdad, Iraq, March 3, 2015.